One of the things that surprised me when I first went to Poland was the number of ice cream and waffles sellers there are. Given that the summers are often hot and long, it probably shouldn’t be that much of a surprise, but I did not expect to see the number, variation and quality that there are. Busy streets are often lined with the sort of delicious looking multi coloured flavours of ice cream that you might expect in Italy. We were recently staying in the Vanilla Hotel in the Eastern city of Lublin, which more than one review described as having the best ice cream in the city. It’s located the Cracow Gate, an entrance to the beautiful old city, and all the way from the hotel to the gate are a series of eateries most of which sell ice cream out of a kiosk window. We did try some of the others, but did decide we should try the ice cream at the Vanilla hotel. There was a menu that described the various options, available in multiple languages and with pictures. 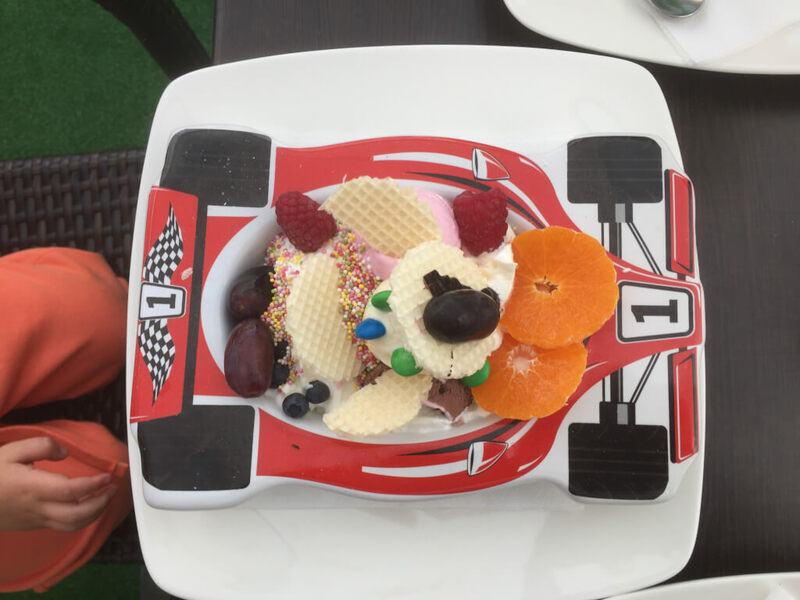 Xander, possibly not surprisingly, wanted the “racing car”, so we ordered a Formula One Ice Cream and got this. It tasted every bit as good as it looks, and our adult ice creams were every bit as good as Xander’s child option. The Vanilla hotel is excellent, a lovely boutique hotel in an old building well located for the city centre and old town, with big rooms, good food and friendly & helpful staff. However, our abiding memory of it will be Xander’s Formula One Ice Cream. Europe, Family & Friends, Formula One, Motor Racing, Travel Europe, F1, Formula 1, Formula One, ice cream, Lublin, Poland, Travel, Xander. permalink.